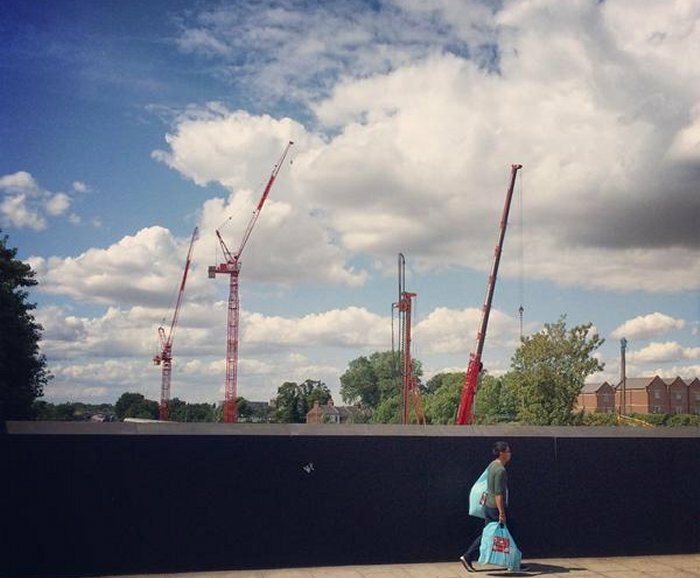 West Hampstead Life | What have I missed since July 28th? What have I missed since July 28th? Glenda Jackson officially opened West Hampstead’s new post office in St James’ church on Friday – even though her novelty ribbon-cutting scissors didn’t do the trick. A man died after falling from his Fawley Road balcony on Wednesday during the evening rush hour. Is West Hampstead’s housing bubble bursting or just deflating? If you think Fordwych Road is smelling a little…er… agricultural, here’s why. Boris has mooted the idea of London Orbital Railway that would pass through West Hampstead. Whampsocial was a hit – the next one is August 20th. The film on Fortune Green on August 30th will be Groundhog Day, as voted for by you. The people behind hair salon Remix on Broadhurst Gardens have applied for an alcohol licence at premises across the road, where Eastern European deli Old Bridge was. They’re putting the bar back in barbers! Jazz singer Elaine Delmar at JW3 next Sunday is our Gig of the Week. Full local music listings here. Guardians of the Galaxy is Film of the Week. Full local cinema listings here. Advance warning of a four-week closure of the junction of Iverson Road and Kilburn High Road, starting August 14th. This is part of a traffic light modernisation program.